But to truly optimize your #BaseballSummer, you can’t just crack open any old cold one with the boys. There are certain beers that, when opened, seemed to breathe out the essence of a crisp summer day at the baseball diamond. Not sure what I mean? Give one of these beers a try, and you’ll see for yourself why these five beers make a summer’s day of baseball so much better. For this list I’ve tried to select beers that have a wide footprint, beers that consumers could feasibly buy anywhere in the country. As such, microbreweries do not appear on this list. Then again, neither does Bud Light, because I have standards. Finally, since I’ve lived most of my life in Michigan and Ohio, this list is going to have a decidedly-Midwest flavor. Don’t hate on the Heartland. I am not a devout worshipper of the Summer Shandy Sun God, but I do enjoy it at the ballpark. It’s crisp refreshing taste is a must for the hot summer days, and the slight acidity of the lemon makes it feel a bit like lemonade–only better, because, you know, alcohol. While it is not the only beer that matters (sorry Brett), you can’t go wrong cracking this one open at a ballgame. You want hops? We got hops. 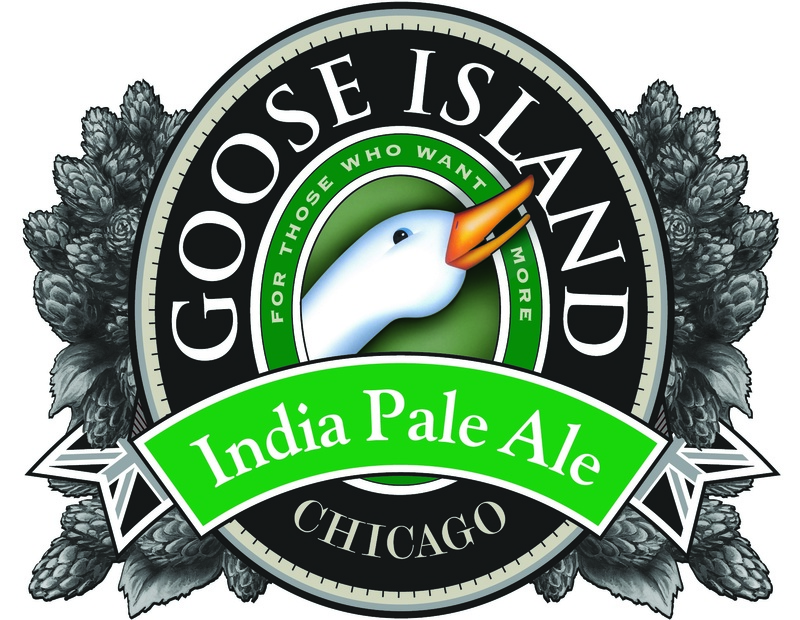 I love a good IPA, and there are few better than Goose Island’s primary IPA. It offers a four-hop blend including Cascade, Centennial, Pilgrim, and Styrian Celeia hops, giving the beer a hint of fruitiness. I find this beer at most of the ballparks I attend, and for good reason. If you’re a fan of IPAs and baseball, get to know the Goose. Belgian beers can be a bit too much on a hot day, especially those with higher carbonation rates and alcohol contents. Blue Moon’s Belgian White, their primary seller, does a nice homage to the Belgian style while scaling it down to be the perfect summer beer for ballpark-goers everywhere. A touch heavy on the malts like its counterparts across the Atlantic, this beer makes up for it with the coriander spice and a delicious citrus kick. Have it with the orange peel, or drink it straight–either way, it’s a great beer for summer. Now, dear reader, you either love me or hate me for putting this beer on here. And I’ll admit, when I first had 21st Amendment’s fruit beer, I was skeptical. Fruit beers are the typical scorn of the beer connoisseur–why don’t you just have an IPA like the rest of us! ?–but this one sets itself apart. 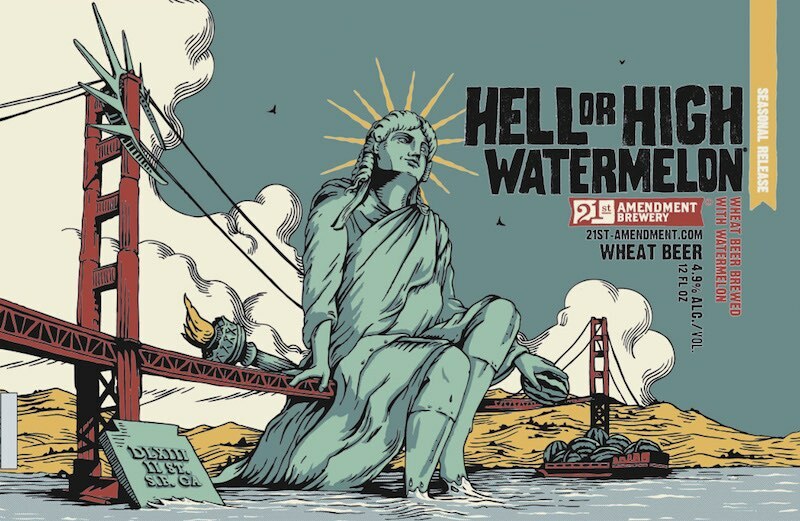 21st Amendment has brewed a perfect summer beer with a light, malty opening and a delicious finish reminiscent of watermelon. Too often fruit beers are too much one-or-the-other, but Hell or High Watermelon bucks that trend by finding the perfect balance between a wheat beer and a family picnic. If you’re from Michigan, you know what I mean when I refer to “Oberon Day.” That beautiful spring afternoon when we stop in the beer aisle and spot the iconic blue and orange six-pack that heralds the start of warm weather. 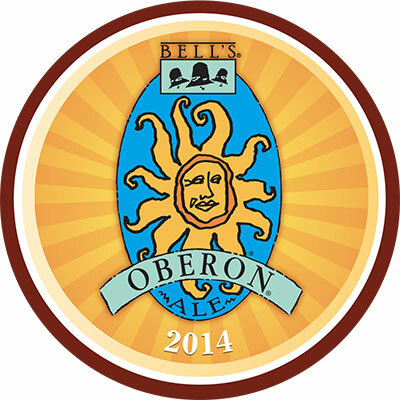 Oberon has become a Michigan tradition because it is the perfect summer beer. Surprisingly, the beer is made with only four ingredients, and no spices. It doesn’t need them; with a bright wheat base and a spicy hop overtone, Oberon is a must-have for baseball fans and beer connoisseurs alike. Session IPAs make the best summer beers. Founder’s All-Day IPA is the best session ale. Therefore, Founder’s All-Day IPA is the best summer beer, and the best beer for your next ballpark tour. It’s a simple syllogism, but the logic doesn’t lie. It’s bright taste is the embodiment of a warm summer’s day. It’s high-hop taste profile may suggest that’s it’s a heavy-hitter, but as the name and the ABV (4.7%) suggest, it’s an ale you can drink all day. (I tested it once. You definitely can, though I wouldn’t recommend driving afterwards.) I have yet to find a beer that is more drinkable than Founder’s All-Day IPA, making it the number-one choice for your next ballpark venture. In America, the only thing we’re more opinionated on than our politics is our beer. Did I leave your favorite beer off the list? Let us know on Twitter and Facebook – and keep drinking beer and watching baseball!